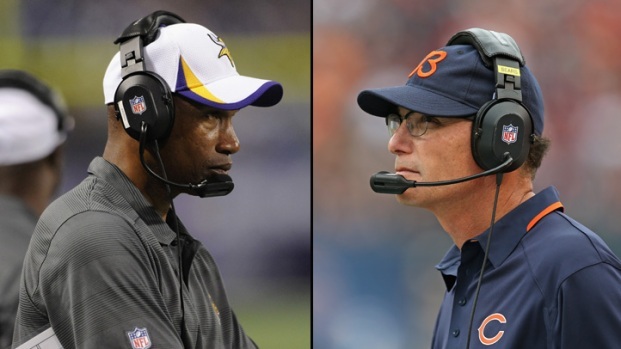 Could Z actually forsake his hometown Vikings and root for the Bears Sunday? When it comes to Chicago sports, there are already a variety of celebrity fans who cheer for the teams. the Chicago Cubs play. Even President Barack Obama is often seen wearing a Chicago White Sox hat. While he may not be up to snuff with the rest of those guys, musician Robert Rivkin, better known as Bobby Z, has an interesting connection to today's game at Soldier Field between the Bears and the Minnesota Vikings. Born in the Twin Cities, Rivkin is best known for being a member of Prince's band during the late 1970's and through the 1980's. He also played drums with the band The Revolution, and has since gone on to do many charitable works, including for his charity My Purple Heart, which raises money and awareness about heart disease. His connection to this Bears-Vikings game, you might ask? Well, according to his Facebook profile, Bobby Z happened to be teammates with current Bears head coach Marc Trestman, and the picture he provides of Trestman's throwing motion is, in a word, outstanding. "Congrats bro on your NFL Primetime debut & win!" Rivkin said in the post. "You may be a Bear now, but we know you are an Oriole forever! Love, Z." It's not clear who Rivkin will be rooting for in Sunday's matchup, but even if he ends up deciding to root for his childhood team instead of the team coached by his former high school teammate, the picture he posted of Trestman is worth the potential betrayal.